Education is also at the heart of the activities of the Quatuor Danel. An essential part of their mission is to pass on their knowledge, their experience and the musical heritage they received from their own mentors: members of the Amadeus and Borodin Quartets, Fyodor Druzhinin, Pierre Penassou, Walter Levin and Hugh Maguire. Since 2005, the Quatuor Danel is quartet in residence at the University of Manchester, where they uphold a tradition of coaching and collaborations with world-renowned musicologists. Since 2015, they also teach regularly at the Netherlands String Quartet Academy in Amsterdam. They gave classes at the University of California, Los Angeles (UCLA), University of Maryland and Skidmore College, at the Taipei National University of the Arts, at Conservatoire of Music and Dance Lyon the Conservatoires of Lille and Nice and at the Kuhmo Chamber Music Festival. The quartet’s current diary will take them to the major concert halls in Brussels, Amsterdam, Paris, London, Madrid, Vienna, Hambourg, Milano, Taipei, Tokyo, New York, Washington, Los Angeles and San Francisco, but they are also comfortable playing in lesser known intimate venues. 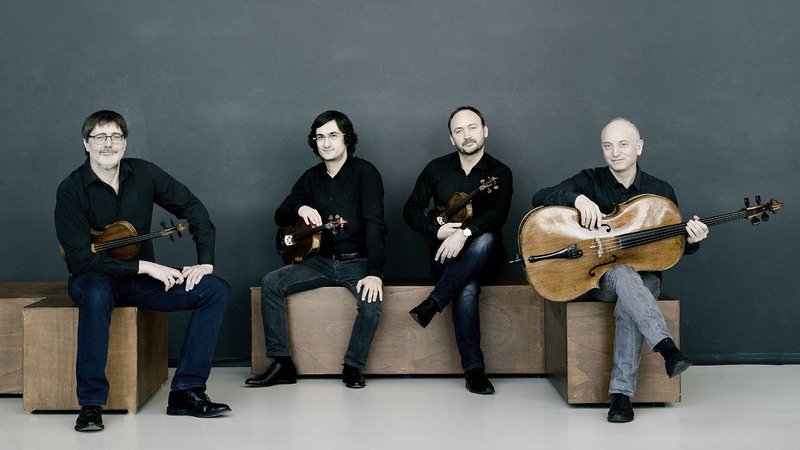 Quatuor Danel is a regular guest at festivals such as Ottawa, Kuhmo, Cork, Lofoten, Schleswig-Holstein, Bregenz, Schostakowitsch Tage Gorisch, Luzern Zaubersee, Sakharov Festival, Richter Festival, Enescu Festival, Fayence, Luberon, Montpellier, Folle Journée de Nantes and Musica Mundi. Present seasons the Danel will be featuring a series of quartet cycles around the world: the complete Shostakovich and Weinberg cycles at Wigmore Hall, Muziekgebouw Amsterdam and TivoliVredenburg Utrecht, Philharmonie de Paris . Complete Beethoven cycles sound in Jerusalem, Taipei, Lyon, Badenweiler, Manchester and finally in Utrecht.